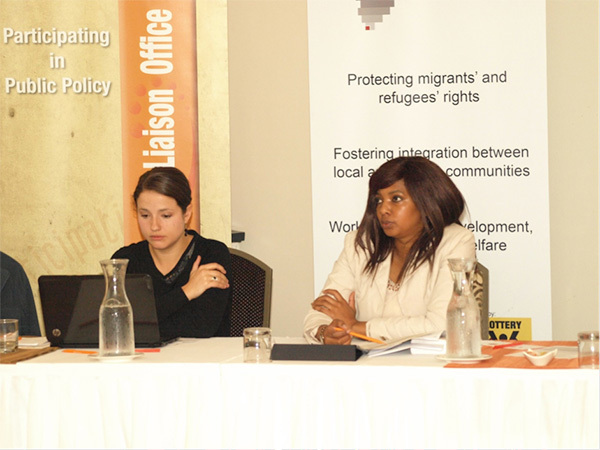 On the 1 of July 2014 the Catholic Parliamentary Liaison Office co-hosted a Round Table with the Scalabrini Centre on unaccompanied and separated foreign children in South Africa. 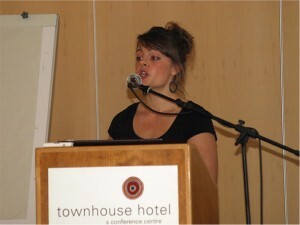 These children often face serious difficulties and are vulnerable to exploitation as a result of not being in possession of adequate documentation, such as ID books or passports. The Round Table was intended to bring people working on the topic together in order to develop a common policy and advocacy strategy on the topic of documenting foreign children. The participants were primarily experts on the field or people working directly on these issues. Above: Lotte Manicom of the Scalabrini Centre gives the opening address during the Round Table on unaccompanied and separated minors. Above: Two of the speakers at the Round Table take notes during a discussion. (L) Liesl Muller of Lawyers for Human Rights, and (R), Ronaldah Lerato Karabo Ngidi, Centre for Child Law at the University of Pretoria.